I literally grew up ringing. I started going to bell rehearsals when I was a few months old. Every Thursday night for most of my childhood, I’d go to bell rehearsal with my mom. At first I’d just work on homework or something, but sometime when I was in third grade, about 8 years old, it happened: Someone missed rehearsal and the director said to me, “hey, you can ring this bell,” and it kind of stuck. Playing bells was how I first learned to read music. In fifth grade I studied violin, and I took piano lessons on and off, but I really learned to read music at bell rehearsal, figuring out all the ledger lines in the treble. I remember I started with A and B 5, playing just those two for ages and ages. Then, as our group got better and our director was no longer afraid of giving us challenging music, I learned to play different positions, and pretty soon we were all moving positions for every piece. At first it was tough, but when we got used to it, it was really fun. I got hooked on the challenge, and I’m still hooked. That’s one of the reasons that I love ringing with Bay Bells. It’s always a fun challenge, and I’m always learning something new. I also ring with Bell Appeal. They are completely different groups. Bay Bells is a lot more structured. You sign a contract and you show up even if you’re dead. Bell appeal is more of a pick-up group. It’s less structured, and we do more inventive stuff, just for the fun of it. We even rotate directors. It’s more about the fun of ringing, than really being serious about it. I just love ringing bells. It’s one of the few pastimes that I’ve been able to keep up. I usually do things very intensely for a short time, and then I quit. But with bells, it’s easy to keep going because it’s so social as well as musical. Part of it is I get to see my mom every week; it’s something we can do together. A few years ago, my stepfather joined too, just so he’d get to see us. I’m sure I’ll still be ringing in 20 years. I love being part of the music. Music is not a passive sport to me. I have to be a part of it. Ringing allows me to perform, and playing handbells addresses that need to be part of the music in a very special way. Theda lives in Mountain View, CA, is 21 years old and is a professional pastry chef. She has been ringing for 13 years and rings with Bay Bells and Bell Appeal. Way back in 1986, my father regularly attended sort of a meditation group organized by a lady named Isabel Soberal. She had three daughters and a son, all of whom played handbells in the Puerto Rico Handbell Choir, the island’s first organized bell ensemble, so she decided to start a group with her kids and the members of the meditation group. I was ten years old when my dad took my first bell rehearsal with Mrs. Soberal’s new group. The first piece I played was an arrangement of Bach’s Minuet in G. With that group I had the opportunity to attend National Conferences in Daytona Beach, FL (1988), Tulsa, OK (1989) and Hartford, CN (1990) and meet people like William Payn, Hart Morris, Robert Ivey and many others that would greatly influence my future in handbells. In 1991, I was part of a group of friends that decided to start our own handbell ensemble for the sake of spending time together playing bells. Little did I know that two years later, as a college freshman, I would become its music director and the small group would later evolve into an after school music education program, the Coro Polifónico Juvenil de Campanas, with three children’s groups, three senior citizens groups and Vivace, its concert ensemble. In the summer of 1994 Vivace went to the AGHER National Conference in Tampa, Florida. Although I was conducting the group, I still played in a trio that we formed to perform “Plink, Plank Plunk” in one of the Solo Concerts. My two colleagues would play the melody with mallets and I would ring the bass line, which I found quite challenging in a show off kind of way. I was quite pleased with myself. One afternoon we are rehearsing the trio during a lunch brake when suddenly Michael Keller walks by and stops to listen to us. I got really excited because I was sure he was going to compliment my performance of this very difficult piece. When we finished, he did compliment our playing, but he also did something that would dramatically influence the way I saw the instrument. He came behind the tables and said to me: “ You are playing quite well, but it looks soooo difficult, like it’s sooooo much work. Why don’t you try it again, but this time make it look like it’s really easy? Start by playing every note in front of your shoulders instead of all over the place and move your feet instead of trying to compensate by overextending your arms.” I did what he suggested and of course, it was so much easier. I got through all my changes faster and spending maybe half the energy as before. It is not that Michael shared some big insider secret into the art of handbell ringing. It was just one of those rare light bulb moments when something clicks inside your brain. It made me start questioning everything I though I knew about bells and realizing how much I didn’t know. I got his coordination and rehearsal procedures books and most of the available literature and immersed myself into the world of handbells like never before. It was an awakening. Since then, Michael has become a good friend and mentor and I have incorporated his teachings and those of many others into my own handbell philosophy. 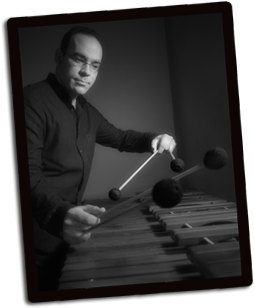 Born in San Juan, Puerto Rico, Carlos Avila serves as assistant principal percussionist of the Puerto Rico Symphony Orchestra, musical institution with whom he has been performing since 1997. This experience has allowed him to share the stage with renowned musical figures such as Plácido Domingo, Yo-Yo Ma, Andréa Bocelli, Rafael Frühbeck de Burgos, Giancarlo Guerrero, Sergiu Comisiona, Ruth Laredo, Olga Kern, Guillermo Figueroa, Roberto Alagna, Arnaldo Cohen and Tito Puente, among others. 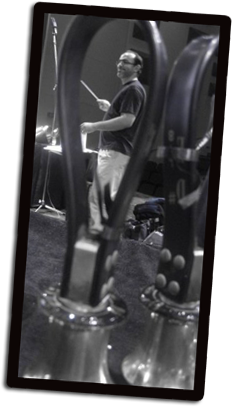 A handbell specialist with more than 25 years of experience, he has appeared as a clinician and guest conductor in handbell festivals and workshops in various cities of the United States, England, Venezuela, Argentina and Puerto Rico. 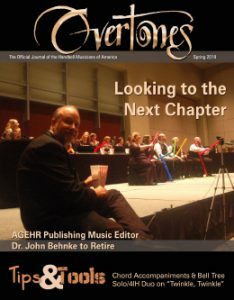 He earned a Bachelor’s degree in Percussion Performance at the Puerto Rico Conservatory of Music and a Master of Music degree in orchestral conducting at Illinois State University. We are pleased to have Carols Avila directing this year’s Distinctly Teen at National Seminar in Cincinnati, July 19-21. 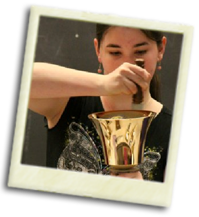 This event is designed for individual young ringers (8th-12th grade) who wish to stretch their ringing skills and challenge their musicianship. 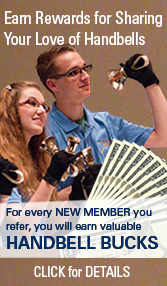 Participants will spend 2 ½ days working on intermediate to advanced repertoire and developing skills in handbell technique and general musicianship.